Tour de Romandie - CyclingFever - The International Cycling Social Network - Get the Cycling fever! The Tour de Romandie has been organised in Switzerland since 1947. Romandy is the French speaking part of this country where the UCI headquarters is established also. 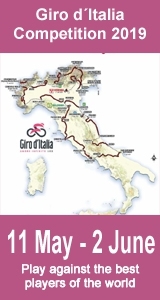 Naturally, much of this race goes on in the Swiss Alps and will be the main preparation for the Giro d’Italia, usually a week after this Romandy Tour. In fact, this race is a mini-tour where any classification rider will have to be on his toes to win. He has to posess both time trialling and excellent climbing qualities to even stand a chance here. No race for the fainthearted cyclist! As we said earlier, in 1947 the flag comes down for the first time. The first stage was a morning stage with a team time trial. The Amberg, Diggelmann, Koblet and Keller team won that edition. The afternoon stage was won by the Belgian Keteleer, who also won the final classification in the end and gets his name on the leaderboard in the first Tour of Romandy. The Swiss, proud of being the ultimate clock makers, are really fond of their time trials. From 1953 onwards, many time trails are present in this somewhat short tourrace. 1968 actually kicks off with a prologue for the first time, apart from a time trial later on in the race. The organisers seem to like that setup, so up to 2003 two time trials remain in every race. The 2004 and 2005 editions have to settle for just a prologue, but in 2006 the organisation decides to return to their well known formula of old. In the beginning local Swiss heroes like Koblet, Strehler and Kubler were of course present and also winners in the race, this Romandy Tour being the second largest stage race in Switzerland. It hasn’t been very popular in the past though, because the early years failed to attract the many big cycling names. If a big name did enter the race, he’d most likely win it as well. So we still find the names of great champions on the all time leaderboard, Eddy Merckx as usual being one of them. Many riders have won here twice, but only one cyclist managed to get the top spot on the podium three times. In the Eightees, multitalented Irishman Stephen Roche got his wins in 1983, ’84 and ’87. This relative young stage race is getting more popular with the audiences now, probably also because of the perfect organisation by the Swiss. All things considered, the Tour of Romandy is no easy race to win anymore. Today, the competition is much fiercer than it was in earlier races. The introduction of the ProTour helped this race as well, so a decent number of top cyclists will be present. To end up in the top 10, riders have to be excellent cyclists to even stand a chance. But if you do end high up on the leaderboard in the general classification, it does automatically prove that you are a good tour rider and will stand a reasonable chance in races like the Giro d’Italia.